Episode ones raises a lot of questions but does a good job of not confusing the player by going too big, too soon. As a standalone product, it is held back only by its length which is a little on the short side. However Gaming Corps AB have created an excellent foundation that future episodes can build from, and the premise should entice anyone who enjoys a post-apocalyptic, science fiction tale. I hope the narrative goes deeper as each episode progresses but if episode one is anything to go by, it should be an exciting and engrossing ride. The story is actually pretty good, but being the first episode of the series I found it should have set up the rest of the series better than it did. The Descendants may not stand up to Telltale's nearly-uncontestable mastery of the interactive drama, but I definitely feel that genre fans owe themselves a look. 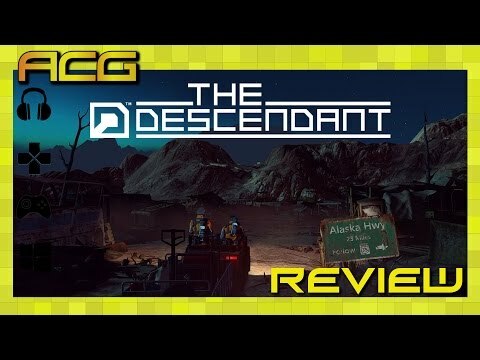 Despite some basic puzzles, and uninspiring characters, episode one of The Descendant is abundant in atmosphere. The title provides players with an engaging story that will leave them curious to know what happens next. The Descendants' first episode has some issues, but they can mostly be ignored by fans of the adventure-lite genre that Telltale established.